The Solaire Anywhere let’s you enjoy succulent, flavorful food anywhere you go. 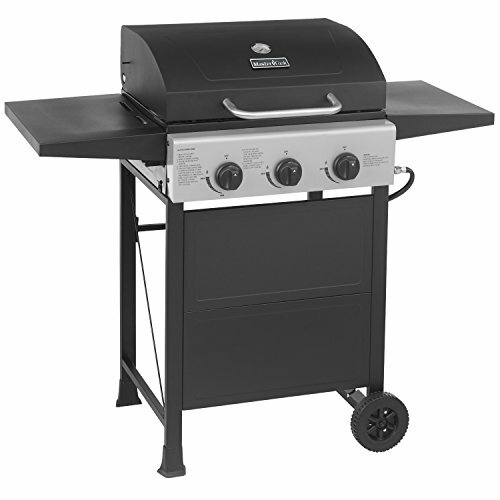 Each Solaire grill has a “rocket under the hood” – the Solaire Infrared Burner. 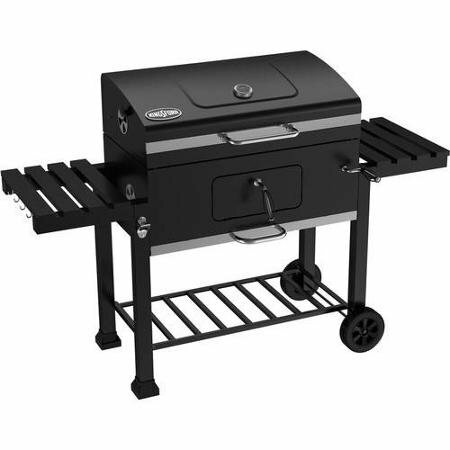 This superior burner gives you the high heat to lock in the juices for more tasty, flavorful food than you can ever get from a conventional barbecue grill. 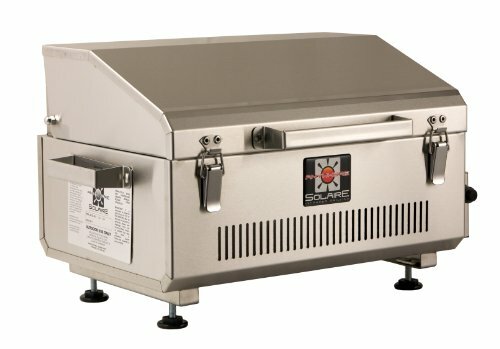 Professional chefs demand high heat to create great taste – and now you can too with a Solaire Infrared. 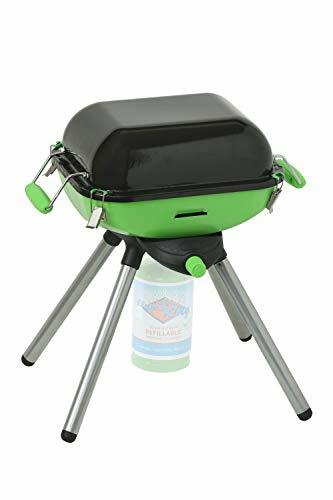 The Solaire Anywhere is perfect for tailgaters, picnics, RVs, camping, boating and balconies at only 20 pounds in the included carrying bag, which has pockets for three 1-pound propane bottles. 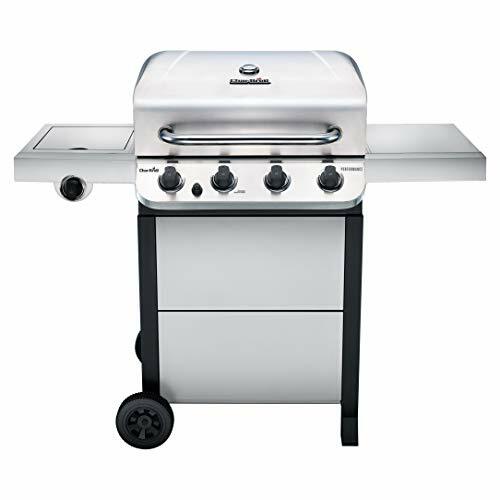 It is made from Marine-grade Type-316 stainless steel, has a stainless steel with honeycomb ceramic infrared burner beneath 155 square inches of grilling area and lights with a push-button rapid-spark electronic igniter. Spring-loaded latches keep the lid closed during transportation and includes a quality Carrying Bag with Solaire logo and pockets for 3 1 lb. propane bottles. It operates out of the box on 1-pound propane bottles (not included), and can be used with larger BBQ propane tanks with our adapter hose accessory (item #SOL-SAHOSE6) or on natural gas with the natural gas conversion kit (item #SOL-SANGC). The firebox is fully welded – no mechanical fasteners are used. Assembly of handles and regulator are all that is needed – five minutes tops. 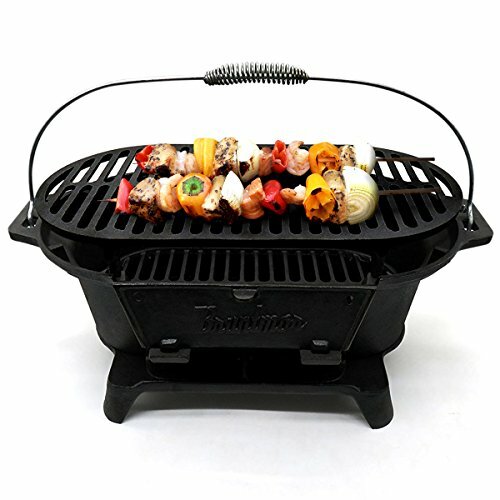 Solaire is a grilling machine that gives you the great flavor of an intensely hot charcoal fire with the control, convenience and consistency of gas. 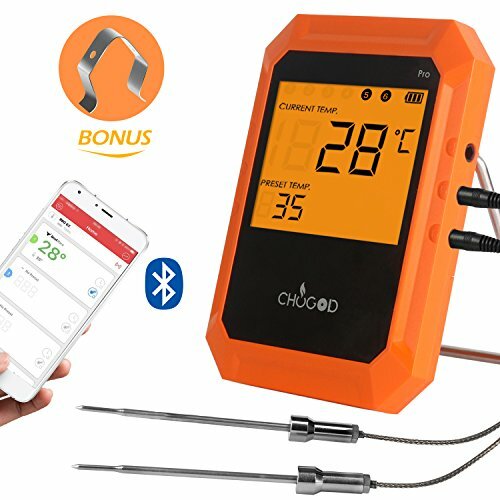 Become the undisputed wizard of the campsite, the envy of your parking lot, and the hero of your family when you serve them juicier, more flavorful food then they’ve ever tasted from an ordinary grill.